Over the past 12 months, Mi-Move has gone through some exciting changes, with new staff and new projects, all backed up with some good, old fashioned hard work! 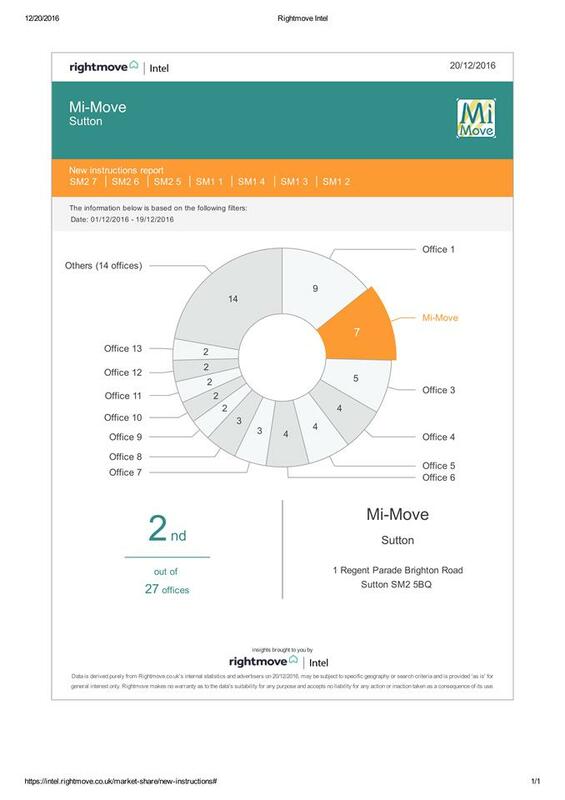 Although we have realised that our business has been gaining momentum as we've gone along, we were more than a bit staggered to see that according to Rightmove Intel between 1st Dec-19th Dec 2016, we had taken on the second most properties for an agent in the area. This even better than being 7th out of 36 agents in the SM2 area which we achieved over the six months to October 2016. Considering that we are currently a single office independent agency, it is a huge achievement, and reassurance for us that we are getting things right! We'd like to thank all of our clients for the support and encouragement that you've given us, and we can't wait to see how much more we will achieve in 2017!